The recent e-IRG Open Workshop in Sofia, Bulgaria was followed by the International Conference on e-Infrastructures for excellent science in Southeast Europe and Eastern Mediterranean, organized by the Vi-SEEM project. We were able to talk with Ognjen Prnjat, Vi-SEEM project coordinator and responsible for the conference. Ognjen Prnjat works for the Greek Research and Technology Network. This is the Greek National Research and Education Network (NREN) as well as the supercomputing and Cloud provider for Greece and beyond. 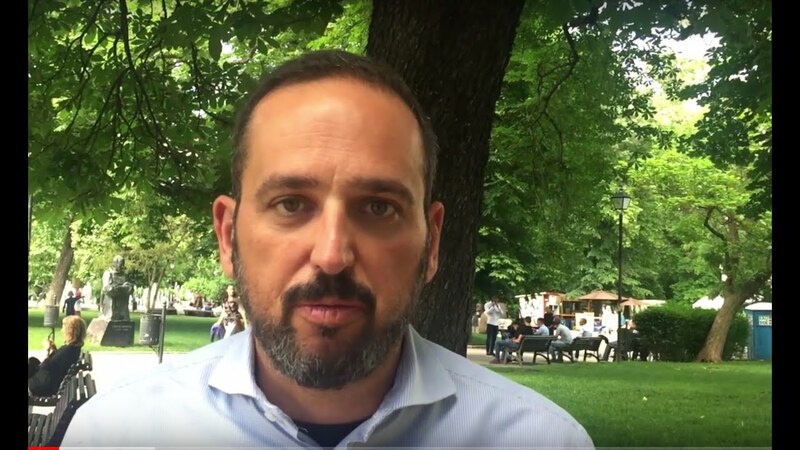 Ognjen Prnjat has been leading regional infrastructure projects for the last 15 years, focusing on the region of Southeast Europe, also including the Western Balkan and Eastern Mediterranean countries. This has been a big partnership of about 20 countries in the region in the fields of networking, grid computing, Cloud computing, high performance computing, and now a unified virtual research environment for the scientists of the region. What is the Vi-SEEM project all about? Vi-SEEM is a three-year European Commission project. It is a virtual research environment for the scientific communities from the Southeast and Eastern Mediterranean region. It is unifying different types of e-Infrastructure resources for the benefit of scientific communities and digital cultural heritage, life sciences, and climate prediction and modelling. There are 15 partners from the region, including the EU Member States Romania, Bulgaria, Greece, Cyprus, Hungary, the Western Balkan countries, and some Southern Caucasian countries like Georgia and Armenia, and the countries from the Eastern Mediterranean region such as Egypt, Jordan, and Israel. It is a wide geographical area, a wide geographical spread of countries that are covering a lot of scientific resources. There are also a lot of communities who are active in that region. What are the main results of the project thus far? The project has a mini European Open Science Cloud (EOSC) running which unifies different types of e-Infrastructure resources in an open Cloud environment. This gives access to different scientific communities. There are hundreds of different applications running. There are hundreds of publications resulting from these applications and scientific collaborations. There are quite a few tangible results, not only in terms of infrastructure, but also in terms of actual research. How are you working together with the other stakeholders or groups in Europe? Vi-SEEM is very much involved in the policy dialogue as well. There is a close collaboration with other policy makers from the region. In this particular conference that is organized in Sofia, there is also co-location with e-IRG and with the Western Balkan Summit of the Western Balkan leaders who are meeting with the European Union leaders later on in the same week. So, there is a very close policy level collaboration, as well as a full blown technical level collaboration, in terms of working together in pan-European e-Infrastructures. Both the policy level and technical level collaborations are in place. At this moment of the interview, the Vi-SEEM conference is not yet halfway but can you already tell a little bit about the contents? On the first day, there is the policy afternoon. The policy makers of the region are joining the project team and the scientists from the region. e-IRG delegates from Western Europe are also present. The second day will be a full day of scientific presentations about the tangible results of the use of the virtual research environment. This is a dedicated day for the scientists. What is your favourite application? I feel very strong about climate change, so climate modelling definitely is very important. But digital cultural heritage is very interesting too. In the Eastern Mediterranean region and Greece, we have a long history and there are some very nice applications in visualisation of monuments and cultural heritage collections. There are very diverse application fields. Does the project run until the end of this year? And what will come after that? Vi-SEEM runs until the end of September 2018. We have developed a sustainability model. There will be services provided beyond the term of the project. We are also looking forward to joining other pan-European initiatives, like for instance EuroHPC. There will be other things coming up.